Easily identify learning and behavioural difficulties with simple online questionnaires and deliver effective interventions involving both home and school to support the needs of every child. Choose from over 220 interventions for SNAP-SpLD, and 86 interventions from SNAP-B. SNAP-SpLD (Specific Learning Difficulties) and SNAP-B (Behaviour) are online diagnostic assessments designed to pinpoint specific learning and behavioural difficulties which without identification, may limit a child’s potential to learn. They also offer targeted interventions involving both home and school, offering an entirely rounded approach to fully support the specific needs of every child. SNAP follows the Assess - Plan - Do - Review model set out in the SEND Code of Practice (2015). SNAP-SpLD (Specific Learning Difficulties) identifies and provides interventions for 20 learning difficulties - more than any other single SEN tool. The three online questionnaires identify strengths and weaknesses and generate interventions based on the child's individual needs. There are 86 interventions to choose from for ages 4 to 6 and 134 interventions for ages 7 to 16. 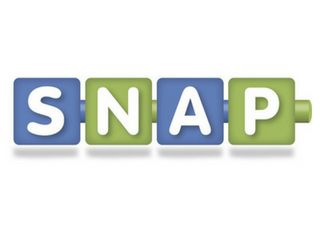 SNAP-B (Behaviour) identifies and provides interventions for 17 social, emotional and behavioural difficulties. The three online questionnaires identify strengths and weaknesses and generate interventions based on the child's individual needs. There are 78 interventions to choose from for ages 5 to 16. What's included in a SNAP-SpLD or SNAP-B online subscription? Helpful guidance on administering the questionnaires is included in the User Handbooks which are sold separately. Want to speak to someone to discuss your school's bespoke needs? Get in touch with your friendly local assessment consultant who would be more than happy to provide an online demo and discuss your school's individual needs. Looking for additional support with identifying pupils with specific learning difficulties? Attend our one-day workshop led by Lorraine Petersen OBE. Find out more and book your space. Includes essential guidance on administering the tests.